Getting locked out of your own laptop has become a very common issue these days. The reason can be many! Whether you have forgotten the password or simply lost it, it is very troublesome indeed to get into laptop without password. As mentioned before, this is a very common issue and there are available fixes. But they vary depending on the version of Windows you are using, the moment you lost the password. A few effective fixes are detailed below in this article for your convenience. Step 1: Firstly, you need to restart your laptop. When it boots up again, you need to hold the “F8” key to access the “Advanced Boot Options”. Step 2: Now, use the “Arrow” keys to select “Safe Mode with Command Prompt” and the hit ‘Enter” to execute. Step 3: Now, the hidden Administrator account will be available, you need to login. 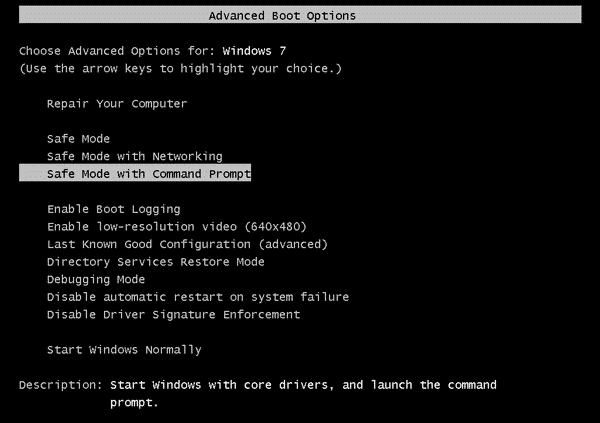 Step 4: After accessing the system, the Command Prompt will be launched immediately with Admin privileges. 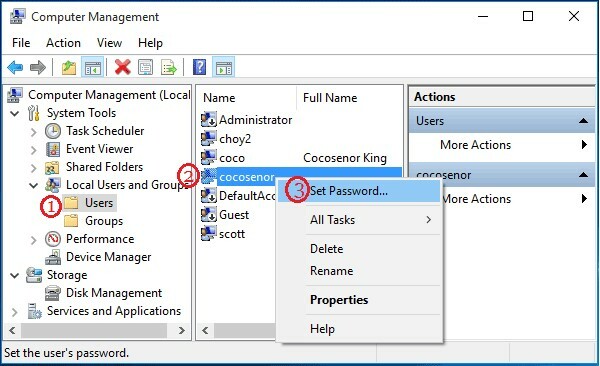 But you need to remember that this is an effective method but without a hidden Administrator account this method won’t work. Step 1: You need to type “lusmgr.msc” in the “Start” then hit “Enter” to execute. Step 2: Now, the “Local Users and Groups” will pop-up on the screen. Step 3: Expand the Users to view all the user accounts. Then, find the locked account and make the right-click on it and select “Set Password”. Step 4: Then, click “Proceed”. After that you need to type your new password in the boxes to confirm them. After you hit “Enter” the password for your user account will get reset and you will be able to access that account using the new password. It will be extremely easy for you to access laptop without password if you are open to use a third-party professional password recovery program to unlock the laptop. There are users who are not okay with using an outside program on their device but you can be sure that Windows Password Recovery is an excellent program designed with the sole purpose of unlocking a Windows device. 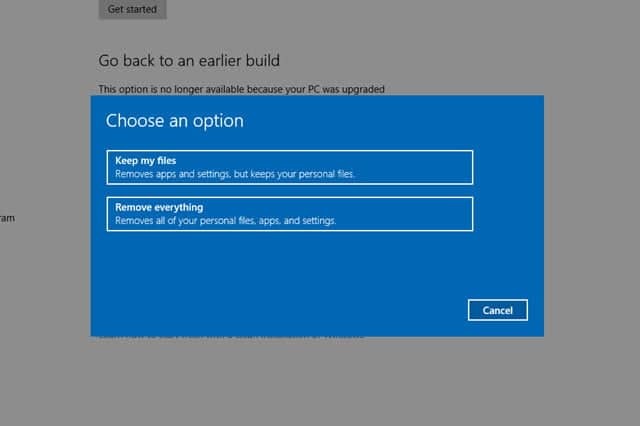 Step 1: First, you need to download the program on a different computer and launch it. 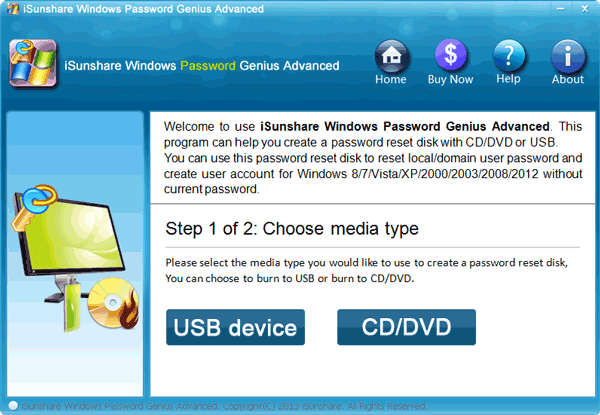 Step 2: In the main page of the program you will be asked to select a medium to make the password reset disk. You need to choose USB. 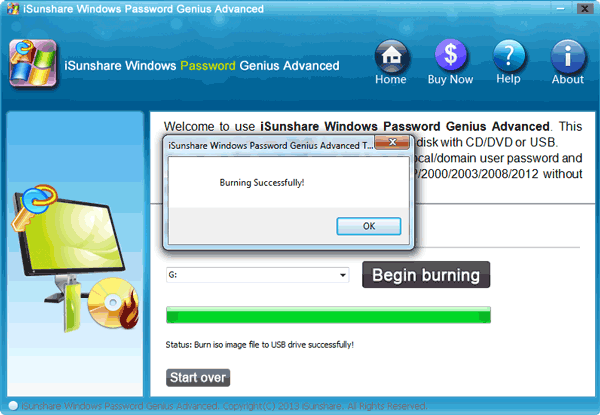 Step 3:Now, connect a blank USB drive to that computer and click “Begin Burning” from the min interface. Step 4: The burning process with end in a minute and then click “OK” to exit. Step 5: Now, you need to connect that USB drive to the locked laptop. Step 6: Now, restart the Laptop and then access the Boot Menu. Select the USB option in the Boot menu and then hit “Enter” to execute. Step 7: Now, the recovery program will load on your computer from the USB drive. You need to choose the Windows System you are using and the locked user account. Step 8: After that, just click “Reset Password”. The program with start working immediately. After a successful reset you need to click “Reboot” on the program interface to restart the Laptop. 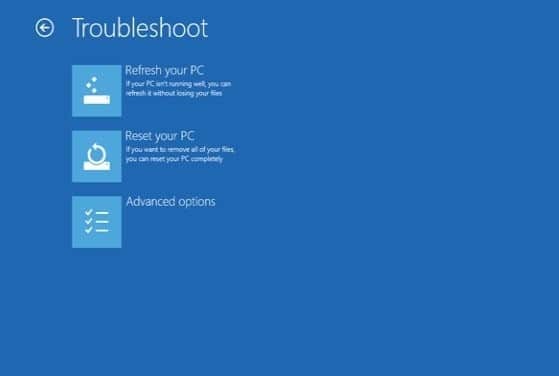 These days Windows 10 devices are equipped with a built-in Factory Reset procedure that even works if you don’t have the password for your user account. This is a very subtle and effective addition on the new version of Windows. Step 1: Open the laptop, reach the login screen. While pressing the “Shift” key on the keyboard, restart the device. Step 2: Keep holding the key, until the “Troubleshoot” screen pops up. Step 3: Click on “Troubleshoot” and then hit “Enter”. In the following panel, select “Reset this PC”. Step 4: Again you will be faced with 2 options, but choose “Remove Everything”. 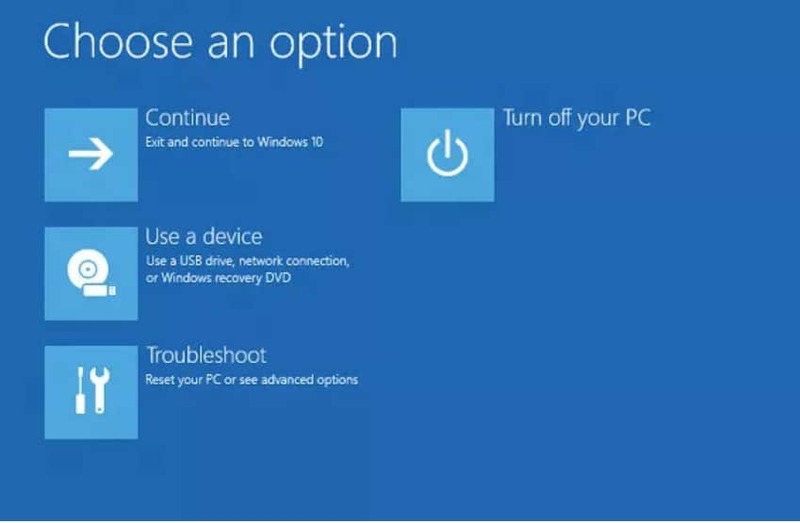 After selecting this option the computer will reboot everything and when it starts again it will start resetting the device. All the above procedures will be extremely effective in order to unlock your laptop and you won’t have to ask “how can I open my laptop without password” anymore. Although, the methods are effective, there are limitations with almost every one of them. Take the Factory Reset for example, it is great and it will probably take only 20 minutes to reset the laptop and then you will be able to access the device again. But all your saved files will be lost forever. 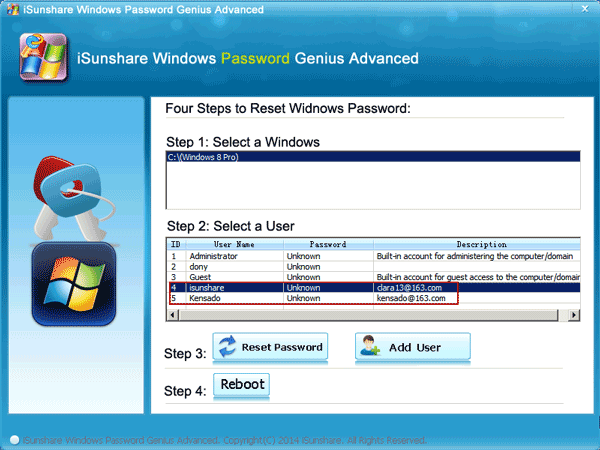 So, compared to all of them, using Windows Password Recovery Tool will provide you with better security for your files and an effective password recovery.